FM switch-off date expected this year. And why energy companies might be breaking the law in their efforts to get us to sign up to smart meters. Why energy companies might be breaking the law in their efforts to get us to sign up to smart meters. 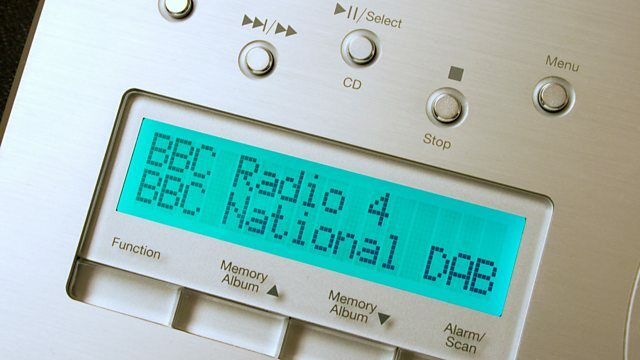 The government said it would consider setting the date for switching off FM broadcasts once 50% of us were listening to digital radio. It's expected that we'll reach that 50% threshold later this year. We hear the pros and cons of using your pension to start up or fund an existing business. More over 55s are using their pension funds in this way. We'll hear from a listener who contacted us during our weight loss phone-in. She tell us her story and that losing weight wasn't all she expected it to be. Call You and Yours: Are you getting fair pay? The fashion retailer has lost its supplier credit insurance, is New Look in trouble?